The Stumptown™ is a classic, everyday dog coat that blends insulated warmth with durability. With a modern, quilted design, the Stumptown coat is at home in urban environments, yet its abrasion-resistant exterior shell allows this jacket to hold its own on the trail. 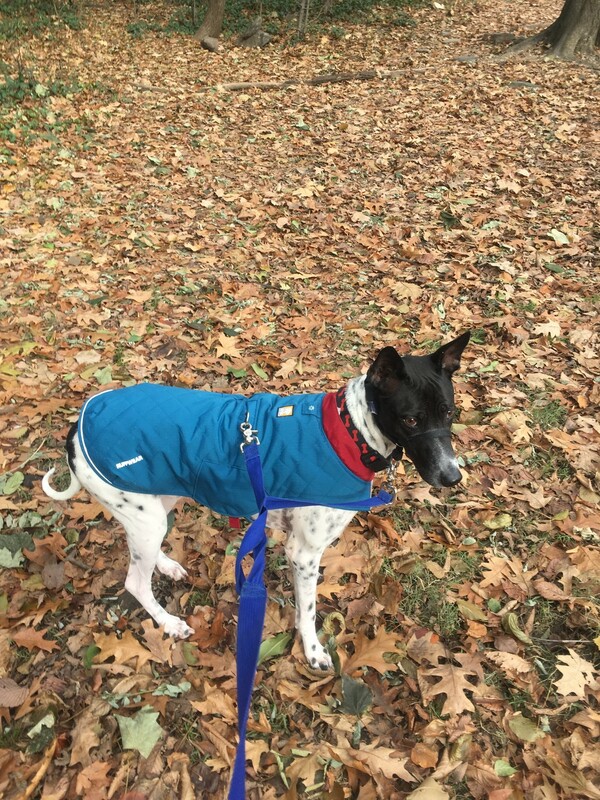 Recycled polyester insulation provides cosy warmth on clear, cold days, and the leash portal on the back allows the Stumptown to be worn over most harnesses. From town to trail, the Stumptown combines classic style with leading edge performance. 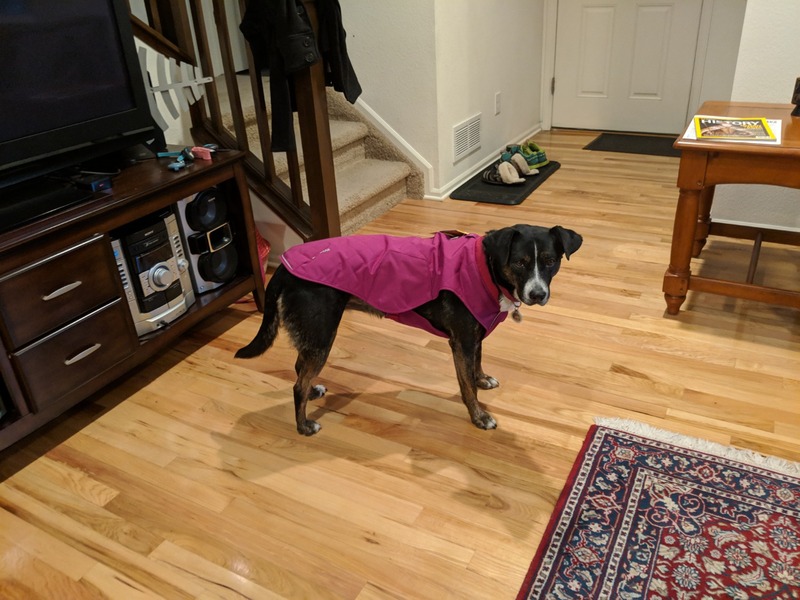 My Thai RIdgeback mix has a very short coat and is sensitive to the cold. 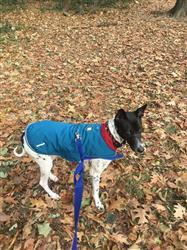 He needs a light coat when it is below 60 F and a much heavier coat when it is below 40. He disliked the climatechanger/overcoat combo as it was hard to put on. The Stumptown is much warmer than the overcoat by itself and it fits him well. A much easier morning for me. Everything about this jacket is perfect. Highly recommend to all for a walk around the block and more! The medium in this fits our 50 lb lab mix well. It stays in place, seems comfortable for her to wear, and is very adjustable. We've used it out in the snow and light rain so far, and it dries quickly. Great color too. Seems sturdy, so hoping it lasts many years! 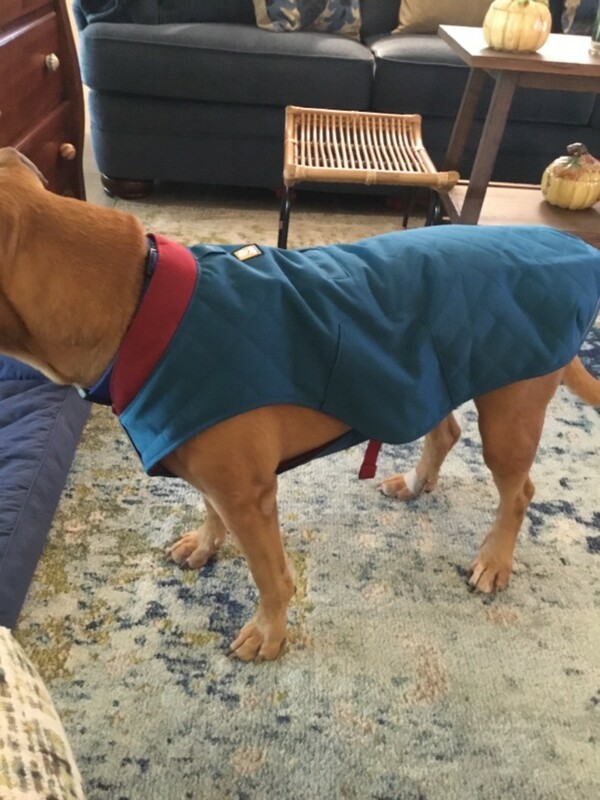 I purchased 2 of these in medium for my service dog. . Good fit, but there is a gap at the shoulder, which I am having a tailor put darts there to keep some of the cold air out just wish for a bit more chest/tummy coverage. I've been putting the fleece sweater under the coat on those bitter cold days. LOVE the opening fr the harness/leash..wish all Ruffwear coats had that! Great fit. Durable. We have an am staff with thin coat. This keeps her warm but the lack of much hair on her under arms results in a little irritation due to friction. The Fernie or other fleece jackets may be better for similar breed but this blocks wind well.